As a networker, I participate in a variety of events, conferences, gatherings and travel often to connect with friends/co-conspirators in the areas of emerging culture and church, leadership, and theology. I'm thankful for the friendship of Emergent, here in the US, and also the collaborative efforts of Luthermergent/Emerging Leaders Network. 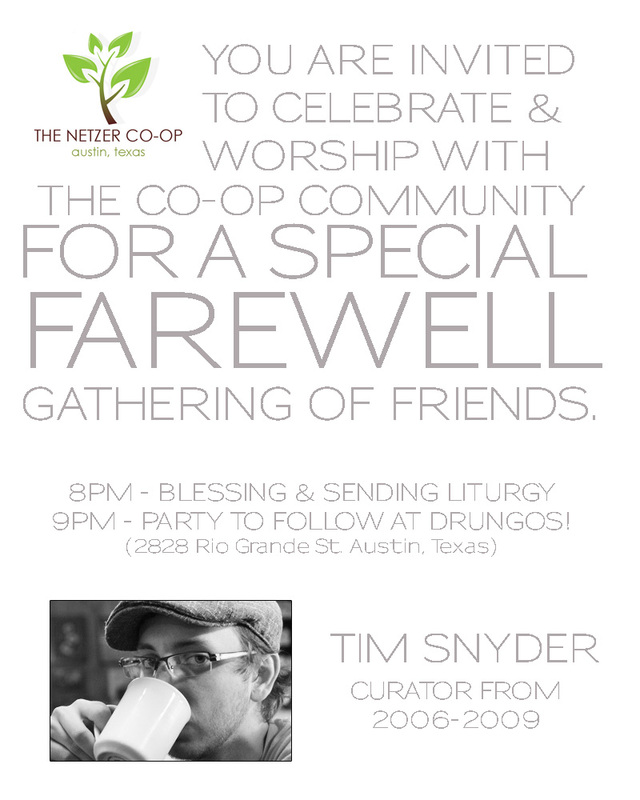 >I'll be spending the month of June wrapping up my post as Curator at The Netzer Co-Op. Austin to Kansas City to St. Paul. > My good friend A.J Costa and I will pack the U-Haul and drive to St. Paul. Twitter updates and blogging to document the trip. > 21 voices (all women!). 21 perspectives. 21 minutes each. Should be an incredible gathering and an important one for Emergent Village. The day before, myself and Nadia Bolz-Weber are hosting a day-long gathering of Luthermergent.